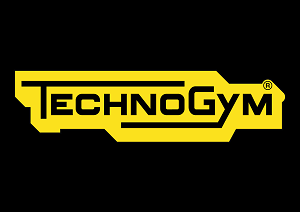 Investment amount: Every team receives €15.000 in cash with a possibility for further investment from Technogym at the end of the program. After four months of acceleration, you are invited to pitch at Demo Night to an international audience made by business angels, investors, companies and journalists. Accelerator Team: During the program you never walk alone, we provide a full-time dedicated team that work closely with you. The team is made of: Accelerator Director, Program Manager, Program Assistants & Operations Manager. These people take care of your stay and organize weekly meetings to monitor your progress. Working Spaces, Room & Board: While staying here you only have to focus on your business. You have space for the whole team with access to all the necessary infrastructure (WiFi network, meeting rooms,…). We also offer amazing food all day long in our restaurant and accommodation on our Campus to each team member. Tech Partners: We make your startup’s life easier by giving you access to hundreds of great perks, free or discounted services. The value of these offers is more than €450.000. International Opportunity: We are one of the key members of the GAN (Global Accelerator Network). Once a startup takes part into our acceleration programs, it gains access to GAN Services: remote mentorships sessions, tech partners, temporary desk space in other Accelerators. You also have visibility to international investors. Mentor makeup: You can attend workshops held by our experts covering key themes such as Business Strategy & Development, Communication & Marketing, Coding & Dev, UX & Design, Legal & Fundraising. You also meet with entrepreneurs, investors, managers and business leaders from Technogym and its international network. "We connect the best startups in the world to corporations who want to disrupt the healthcare industry. 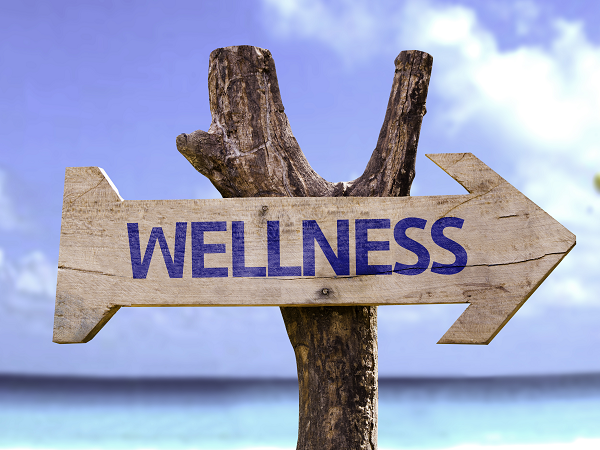 We focus on digital health technologies that challenge clinical practices, improve data analytics, and enhance the patient journey across the continuum of care." Investment amount: Stop giving equity to accelerators. We do not ask participating startups to give up any ownership. We would much rather invest in your next round of funding fairly. Our venture team invest in over 260 startups globally every year and our check sizes run from $25,000 to $500,000. Become a portfolio family member today. We have partnered with over 220 of the world’s largest corporations to help them discover startups. Our startups pitch in private sessions to land pilots and grow faster. With over 25 locations across The Americas, Europe, Middle East, and Asia, we can help you scale to new markets faster. Our 180,000 square foot building in the heart of Silicon Valley makes it easy for teams to grow hassle free. We might not have kombucha on tap (yet), but we do have 300 of the world's best venture capital funds as regular visitors. This has helped our ecosystem raise more than $7bn. "DigitalHealth.London’s Accelerator aims to speed up the adoption of technology in London’s NHS, relieving high pressure on services and empowering patients to manage their health." Investment amount: The Accelerator can connect companies to relevant funding opportunities, but does not provide direct funding. Program benefits: If your company is seeking engagement and traction within London’s digital health eco-system, taking part in the Accelerator programme can support you with opportunities to connect with NHS stakeholders, industry investors, patients, and other healthtech innovators. "ActiveLab is a bespoke 12-week accelerator programme of fast-track support to develop, connect and scale the best and brightest physical activity businesses. ActiveLab will promote, foster and accelerate cutting-edge innovation in health and physical activity from the UK and across the globe." Program benefits: Across 12-weeks, ActiveLab provides actionable insight to enable innovative businesses to scale throughout the UK and beyond. This is delivered through workshops, collaboration sessions, 1:1 mentorships, sector expert sessions and events to connect businesses with key stakeholders from throughout the sector. "Nutrition Greenhouse is a 6-month program where 10 selected companies will be paired with a lead PepsiCo mentor, and the team will be challenged to demonstrate collaboration and measurable progress." Investment amount: Participating companies and their mentors will plan and execute an initiative using a $20,000 grant to demonstrate collaboration and tangible results in an entrepreneurial fashion. An evaluation committee made up of a third party adjudicator, PepsiCo business units and the PepsiCo Ventures Group will award a $100,000 prize to one winning company based on the company’s progress, level of collaboration and effective use of the $20,000 grant. Program benefits: Companies will have access to a full library and curriculum of business resources and training modules, and will also be able to collaborate with each other. Companies will benefit from PepsiCo experience and perspective on product development, branding & marketing, sales & distribution, e-commerce, R&D, media relations and other disciplines. "The Techstars Indy team will source, select and accelerate 10 of the most-talented companies in the following potential areas: fan participation, player/driver safety, ticketing, merchandising, athlete performance management, athlete wellness, among others." Investment amount: Upon acceptance to a Techstars Accelerator, every company is offered a $100,000 convertible note. Techstars contributes $20,000, which is commonly used as a stipend to support living expenses during the program, and in return receives 6% common stock from each company. Acceleration in a 90-day Techstars mentor-based Accelerator program with personal mentorship and office space to accelerate your business. Lifetime access to the Techstars worldwide network of entrepreneurs including more than 10,000 mentors; 2,700 investors; 1,200 alumni companies and 180 staff members. Access to over $300k of cash equivalent hosting, accounting and, legal support –plus other credits and perks worth more than $1M. Demo Day exposure and other investor connections. "The SEG Accelerator provides social entrepreneurs the tools, networks and resources to validate their idea, understand their customer, and formalize growth strategies from fundraising to social impact measurement." Investment amount: $500 is due upon registration. A $2,000 pay-it-forward contribution (tax-deductible) will be due upon reaching a $100,000 increase in revenue.